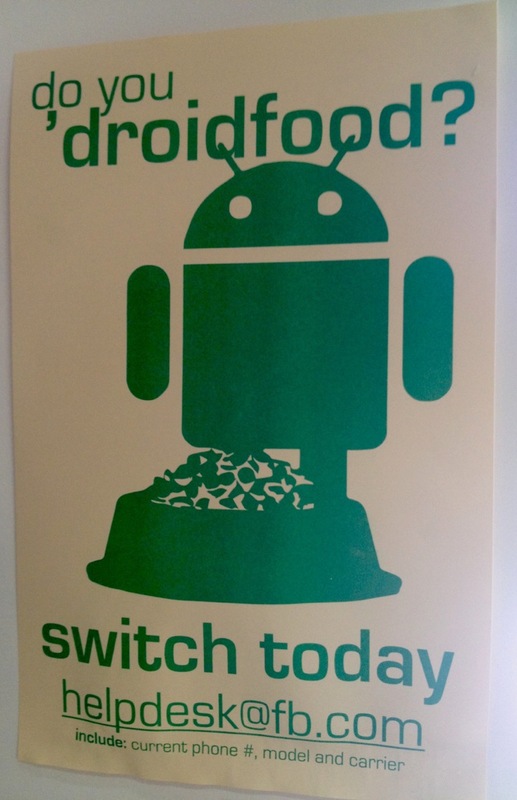 In an effort to improve the Facebook experience on Android platform, the company has put up “switch today” posters in its HQ hallways begging its employees to ditch their iPhones and use Android phones instead, TechCruch reports. Apparently, the idea is that if more Facebook employees are using the Android app, they’ll report back with any flaws and suggestions to the team that makes the app who will subsequently make improvements. Looking at the posters, Facebook is asking its employees “Do you ‘droidfood?”, a combination of dogfooding and Android, hinting at eating your own dogfood aka testing your own products. “I’ve attained some photos of the vaguely propagandistic posters found around Facebook’s Menlo Park campus. 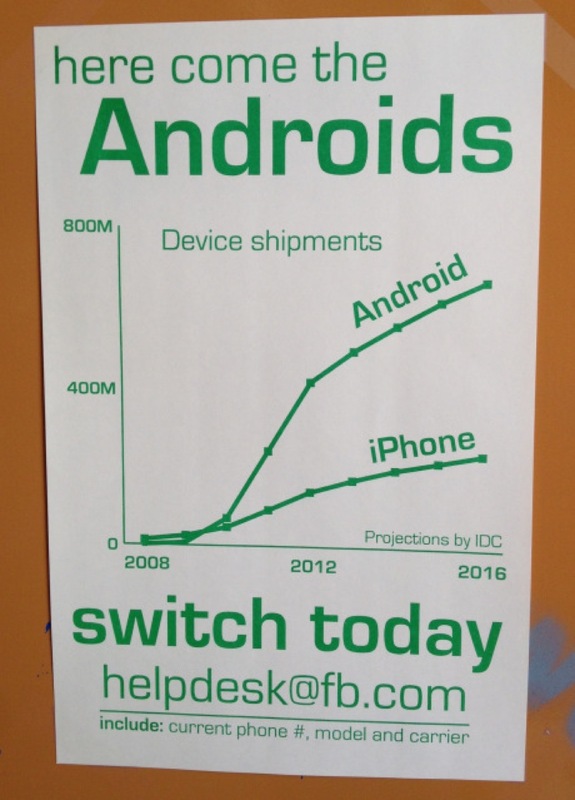 The most telling one is a graph of the International Data Corporation’s projection for shipments of Androids vs iPhones. It shows Google’s OS getting bundled with twice as many devices as Apple’s by 2016. If Facebook can’t even out the ratio of iOS to Android-toting employees soon, it could end up neglecting the vast majority of its smartphone app users”. The source also points out that Facebook maximizes the number of bugs it hears about from its 4,000 employee-testers. This means If Facebook employess like the taste of Droidfood, they could make sure it’s not their actual users “shaking their phones in fits of anger”.